Originally, I intended this blog as a study focusing on Austrian school of economics. I planned to achieve my original goal by digging into primary books written by leading Austrian thinkers and checking on current news and articles to determine the existing progress of this thought. However, as I pursue the study, my mind changed to include Christian economics. The present article is part of this change. As a result of 2008 global economic crisis, an initiative has been taken to consolidate the voice of the Church to know how we should respond to the crisis. I still have no idea about the scope of official representations coming from diverse Christian traditions. I just decided to start my journey in listening to “authorities” without knowing where I would end. And allow me to begin with the article written by a respected Old Testament scholar and theologian. Walter Brueggemann, a professor emeritus at Columbia Theological seminary wrote From Anxiety and Greed to Milk and Honey in February 2009 as a response to 2008 crisis. To him, the debate between “socialism” and “capitalism” is futile from a biblical perspective. He believes that something is wrong with the existing economic system. He actually describes it as “greedy system of economics” and that the crisis serves as a call to transfer from the present economic system into an alternative one. He describes the present system as a product of human autonomy resulting to anxiety and characterized by “acquisitive greed.” He then portrays his proposed economic system as covenantal distinguished for its qualities of abundance and generosity. Such is the “simple sketch” provided by professor Brueggemann. He acknowledged that “the reality on the ground is of course more complex and more difficult…but no less urgent.” By this statement, I understand that there is a need of presenting biblical ideas in contemporary economic terms. I just wonder how both Keynesian and Austrian economists would respond to his biblical proposal. As a whole, I consider his biblical categorization of both the crisis and the solution commendable. Concerning my first question, I know that the professor is aware that scarcity is an economic reality resulting from man’s fall under the power of sin. I just wonder to what extent his abundant premise coming from covenantal framework would affect real world economics. Regarding my second question, insisting on the debate between “socialism” and “capitalism” appears to be contrary to shalom as the goal of education. However, my personal concern is that inability to precisely identify ideological force behind the existing economic system could dilute any effort for reform. Labeling appears as divisive and to me that is unavoidable. We could not escape “labeling.” It just depends on how we take it. The professor’s description of existing economic system as a “greedy system” may appear less divisive, but it is still labeling nonetheless. Vagueness in this matter does not help. The public must learn to concretely identify specific economic ideology serving as the source of the crisis. Only then, can the public move in concerted effort for economic reform. 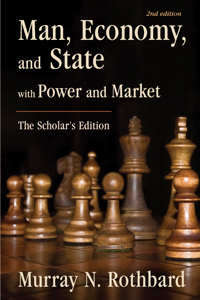 Reading Rothbard’s The Formation of Capital (Man, Economy, and State with Power and Market, 2004, Chapter 1 Section 9), I observe that debt is not included in his explanation. The four major themes that he discussed include labor, saving, investment, and human decision. I personally find this strange particularly when I compare my reading on Rothbard with my previous reading on financial education. I find that debt is a central idea in raising business capital in financial education. This is true at least in Robert Kiyosaki’s books. You will repeatedly find the importance of leverage or other people’s money (OPM) in raising business capital (Perhaps I am missing something here, a gap between the two concepts of capital. I am not sure about this). For Kiyosaki, not all debts are bad; it depends on where and how you will use it. If you will spend it on liabilities, it is a bad debt; but if you will use it on building assets, it is a good debt. At first, such distinction between debts confused me for as a result of my plain reading of the Bible it appears that debts are discouraged especially for the followers of God. But as I read more of Kiyosaki’s books, his distinction started to make sense to me. I understand that Robert Kiyosaki is using his “Austrian insights” on the existing monetary system for his own economic advantage. And this is most evident in his advice on OPM. As I turn to Rousas John Rushdoony’s Institutes of Biblical Law, he teaches that there is a legitimate place for debt in the Bible, but only on short-term basis. No man has the right to mortgage his future by enslaving himself in debt in view of the fact that God is the Ultimate Owner of all things including every man. However, with the monetary system based on debt that we have right now, as lovers of liberty how should we respond? Can we blame financial advisers like Robert Kiyosaki taking advantage of the system? Or should we follow the Austrian school in campaigning for the end of a monetary system based on debt? What is the right thing to do? Is the question of morality and ethics still applicable to contemporary financial system? Does the Bible provide a clear teaching on this critical issue? If the Bible is really relevant to present economic issue, how theologians, preachers, and Christian educators ought to respond? This is my third reading on Murray Rothbard. I actually attempted to read his book, Man, Economy, and State with Power and Market, but its size is too big for me at present. It is 1,506 pages and the chapter titles do not make sense to me. I still need some preparation. The first two articles I read on Rothbard are Milton Friedman Unraveled and Six Myths about Libertarianism. The first article exposed the true economic position of Milton Friedman where Rothbard claimed that the former is no real free market advocate, but espousing the government’s version of free market. Friedman’s influence therefore confused most libertarians and dilutes the voice of free market. The second article is aimed at clarifying the misconceptions about libertarianism. The charges and associations of libertarianism with atheism, materialism, utopianism, etc. are explained and its real character is introduced. The present article, The Solution is my third reading and I hope that readers would understand that even though I am not a professional economist, I am simply following the advice of Ludwig von Mises that the study of economics is part of the solemn duty of a responsible citizen (Human Action, Chapter 38). The article was originally written in 1995 when the price of gold according to Rothbard was still $350 per ounce (I checked it and I found a little discrepancy that as of January 3, 1995, the price of gold was actually $380.90). Now, the price of gold per ounce is $ 1,615.00. All throughout the past 17 years, the analysis of the Austrian school concerning gold has been proven correct. The position of Austrian school concerning gold is contrary to the mainstream, especially influenced by Keynesian and post-Keynesian thinking (the Chicago School). Mainstream economists are repeatedly sending a message to the public that gold as monetary unit is obsolete. And yet we could not understand why history shows us that both the US government and central banking hold unto it. If gold is really not that important, why cling to it? As a whole, I find the article very informative and yet not easy. Many questions are popping out into my mind and I came up with some tentative answers. Murray Rothbard claims that the only solution to avoid the collapse of global economy is to restore the money back to the free market from the hands of both the states and financiers. By this proposal, he meant abolition of Federal Reserve by repealing the Federal Reserve Act of 1913 and a return to gold standard. To him, the abolition of central banking and the return to gold standard are the common sense solutions to put an end to inflation and the business cycle. But the problem is, those in power do not want such “unrealistic” solutions for these would restrain the economic and political powers that they have been enjoying so far at the expense of the public. We face one economic problem, but generally, there are two proposed solutions, the solutions coming from the free market thinkers and the power elites. The power elites through their professional economists dismissed the solution of free market thinkers as simplistic. We have a complex economic problem that requires complex solution. On the other hand, free market thinkers respond that professional economists are offering complex solution to simple problems. What we need are simple solutions – abolition of Federal Reserve and a return to gold standard. Which analysis and solution are correct? In fact, the details of the solution offered by Rothbard are not as simple as I think. It requires rigid thinking to fully grasp the entirety of his proposal and that is beyond the comprehension of a neophyte in the field of economics. 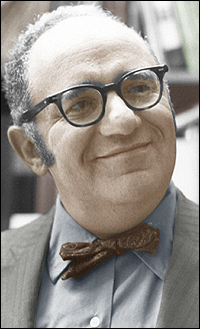 In 1980, Murray Rothbard wrote an article, Six Myths about Libertarianism claiming that “libertarianism is the fastest growing political creed in America.” However, he was concerned that its growth would be hampered by misconceptions and that’s why he wrote the article to clarify before the public the real character of this movement, and at the same time, educate the conservatives. With this association, libertarianism is said to be against any idea of collaboration and voluntary cooperation. What libertarians oppose according to Rothbard is not collaboration per se, but a counterfeit form of collaboration initiated by the state. Libertarians advocate genuine and voluntary collaboration for this political philosophy upholds that every individual influences each other. Identifying libertarianism with licentiousness or libertinism. Here, Rothbard made a distinction between libertarianism and libertinism. If libertarianism is similar with libertinism as the accusers say, libertarianism then would finally leads to chaos and violence for such is the logical conclusion of a political idea without restraint. For Rothbard, the only legitimate use of violence is for self-defense. Any use of violence beyond self-defense is unlawful and criminal. Furthermore, Rothbard acknowledges the existence of diverse types of libertarianism: hedonist, bourgeois, libertines, and moral or spiritual. This could not be avoided due to the inherent character of liberty. Personally, though I appreciate the distinction between libertarianism and libertinism, I do not agree with Rothbard’s ultimate idea of liberty. Yes, he accepts the possibility of a moral and spiritual grounding for liberty, but I suspect that basically his idea of liberty is derived from the Scholastics’ concept of natural law. Leonard E. Reed’s concept of liberty is different from Rothbard’s. In Elements of Libertarian Leadership (1962), Reed believes that faith in the Creator is the basic foundation of freedom. The other option is freedom given by the state. The third option does not exist. Libertarianism does not believe in moral principles, but focuses exclusively on the rationality of man. This charge is connected to the second. It is true that there are libertarians who do not acknowledge liberty as a moral principle, but to say that all libertarians do not believe in moral principle is actually a misinterpretation. In fact, libertarians consistently apply moral principles such as murder and theft both to individuals and the government. They do not recognize the existence of a different moral standard between the individual and the government. One moral principle applies to both. The only exception libertarians could not tolerate as Rothbard understood is the use of coercion to force people to be moral. The choice to be moral or immoral is inherent in libertarianism. Libertarianism is atheistic and materialistic; consequently, it ignores spiritual reality. For Rothbard, religion could not be used as a definitive categorization of libertarianism for you can find both atheists and theists embracing this political creed. Furthermore, for Rothbard, though the existence of Creator is a valid ontological question, it is irrelevant when it comes to social or political philosophy. Libertarianism could actually be accessed either through pure natural law as the Scholastics clearly taught us or through religious influence. The charge of materialism could also not stand for in the mind of Rothbard spiritual and material are inseparable. Depending on Rothbard’s knowledge, he does not know any libertarian who holds such a view. Libertarians are not utopians for they actually believe that man is a combination of good and evil. And that is the reason why they are against the expanding power of the state for those in power with their criminal nature could use the state to legitimize their abuses. Obviously, that is not utopianism. Moreover, the ideal society for libertarians is not realized through total disappearance of crimes, but lesser crimes. And unlike socialism, libertarians do not have a vision of remolding humanity to achieve its ideal society. Both libertarians and the socialists do not believe this, but the response is different. For socialist, this is a ground for State’s intervention. For libertarians, the emphasis is on man’s freedom to act concerning his basic rights and property. And instead of claiming for perfect knowledge, libertarians actually employ the experts’ advice for them to succeed in their endeavors. Reading the first article of The Freeman, July – August 2012 Issue, I learned a lot about statesmanship. The article is written by Lawrence E. Reed. 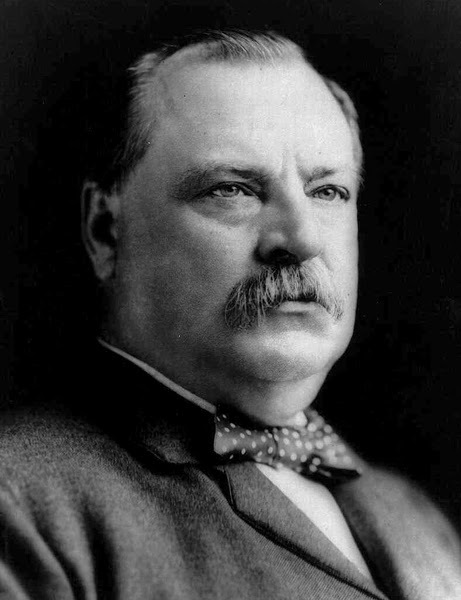 It is about Grover Cleveland. The article’s title is Cleveland Passed the Test of Character and Statesmanship. Allow me to divide the lessons on statesmanship into two sections: ideas about statesmanship and qualities of a statesman. The first idea is about taxation. Grover Cleveland popularized the statement: “Though the people support the government, it is not the duty of the government to support the people.” This statement is considered unpopular in today’s standard. Public opinion resists this idea. The people are asking the state to provide for them. However, in order to give in to what the people ask, the government needs to expand its power and its revenue collection. Unknowingly, such trend is not beneficial to the public in the long run. It leads to the suppression of freedom. Notice here that in the opinion of Cleveland, welfare state is actually leading to “ruthless extortion” and contrary to the character of a free government. Libertarians are correct that once people see that the government takes it as its duty to support the people, instead of being happy for the “generosity” of the government, the people must be cautious and be warned. It is an indication of interventionism heading to socialism. Furthermore, it is also an indication that free market economy is being suppressed. The second idea focuses on loyalty. A certain Brodsky describes Cleveland as the “rarest of political animals” whose ultimate loyalty is not to the party, but to the country. The popular saying, “Public office is a public trust” is not merely rhetoric, but a reality for Cleveland. He or she doesn’t seek public office for personal gain or because it’s the only job he or she knows how to do. He stands for a principled vision, not for what he thinks citizens will fall for. He is well informed about the vicissitudes of human nature, the lessons of history, the role of ideas, and the economics of the marketplace. The statesman is a truth-seeker, which means he is more likely to do what’s right than what may be politically popular at the moment. You know where he stands because he says what he means and means what he says. He elevates public discussion because he knows what he’s talking about. He does not engage in class warfare or in other divisive or partisan tactics that pull people apart. He may even judge his success in office as much by how many laws he repealed or vetoed as by how many he passed.